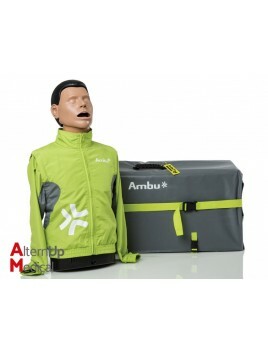 Discover our range of training manikins and automatic, semi-automatic and automatic Defibrillators... Guarantee, CE Norme. Feel free to contact our sales team for any informations. 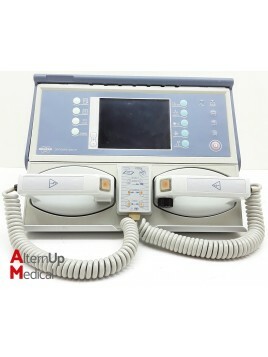 Used Kontron 7501 defibrillator Supplied with a pair of defibrillation paddles. 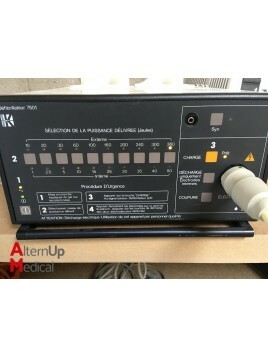 Used Cardiac Recorders Type 2610 defibrillator. Supplied with set of pallets. Adult-sized training manikin that provide an optimal lifelike representation of the human anatomy. 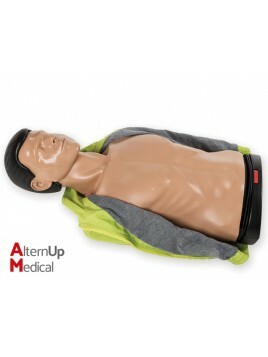 Reliable training manikin designed to fulfill all requirements for the BLS algorithm training.The closed shaped torso with its anatomical correct landmarks allows trainees to learn and train the use of Automatic External Defibrillators (AED) and the placement of pads. 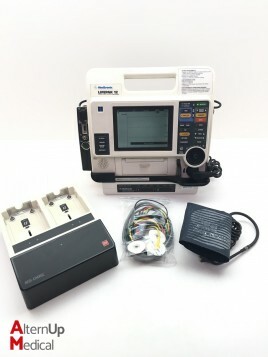 The combined defibrillator monitor Rescue Life is designed to be used by out-of hospital and hospital users. 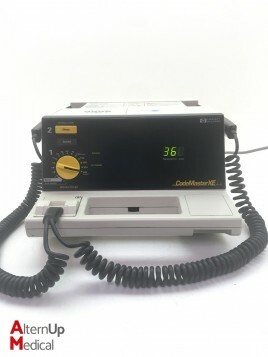 Having an innovative and fully featured design, it provides for defibrillation and monitoring in a single portable device. Rescue Sam is a semi automatic external defibrillator designed for public use by minimally trained people. It provides easy and simple indications for rescue operations.Supplied with lithium battery (200 shocks or 4 operating time), set of adult pads and manual. According to AHA/ERC Guidelines 2010. Warranty 5 yearsMade in Italy. 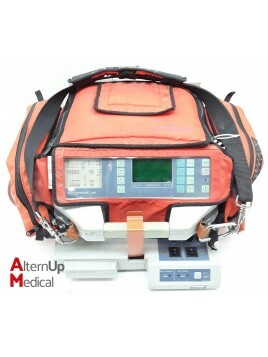 Our defibrillator Rescue 230 is particularly suitable for emergencies and first aid for your patients. 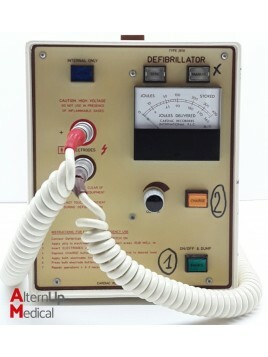 This defibrillator Biphasic also has optional pacemaker. 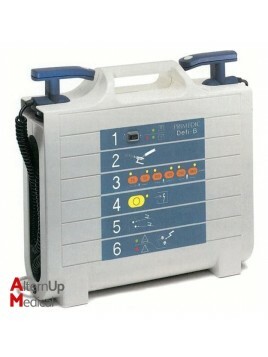 Semi-automatic defibrillator for ambulatory care.